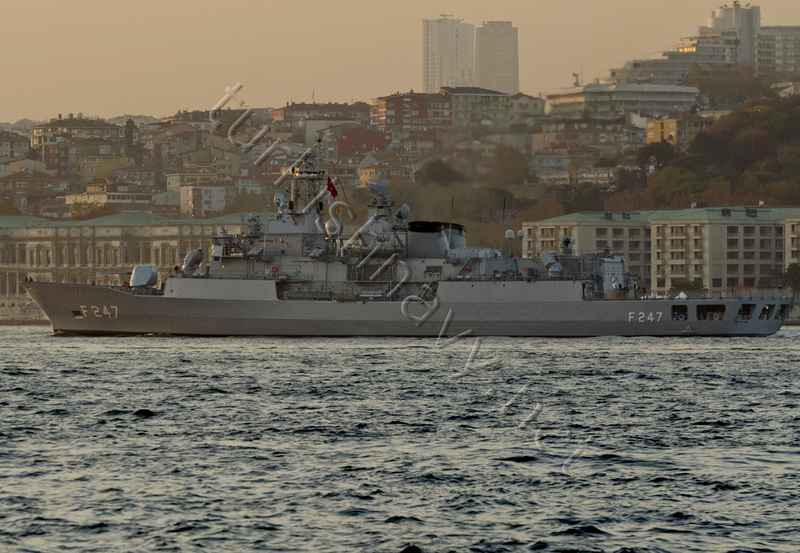 MEKO 200 Track IIB class frigate F-247 TCG Kemalreis on Bosphorus. Her original AWS-9 radar was replaced with Smart Mk2 3D radar. We had a nice sun set today. The Barbaros (MEKO 200 Track IIB) class frigate TCG Kemalreis was sighted today passing through Bosphorus with her new radar. When these ships were commissioned they had BAE Systems AWS-9 3D radar to provides long-range surveillance and target indication data. But the difficult and sometimes dangerous maintenance and the structural complexity of the AWS-9 radars made this change necessary. TCG Kemalreis is the 7th ship in Turkish Navy to receive this radar. 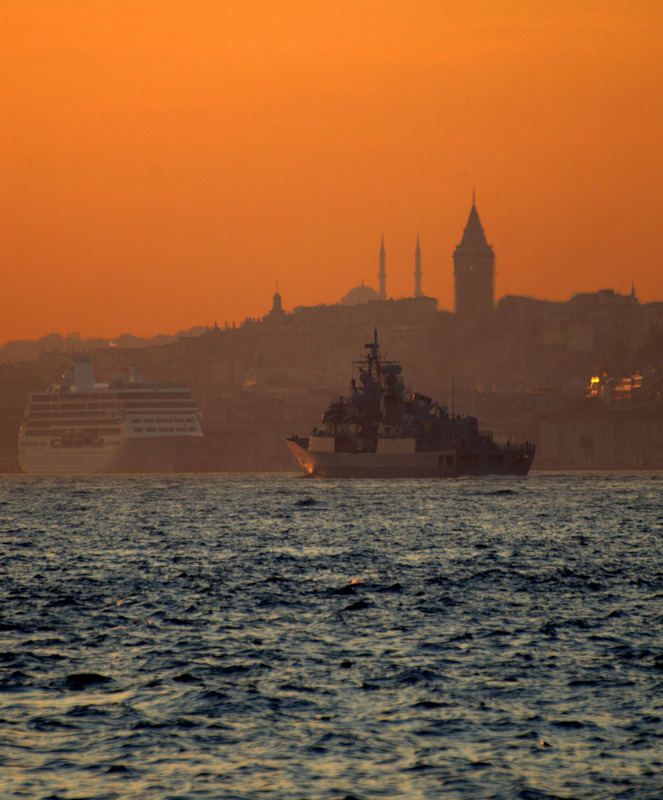 The others are F-246 TCG Salihreis, F-495 TCG Gediz, F-496 TCG Gökova, F-497 TCG Göksu, F-511 TCG Heybeliada, F-512 TCG Büyükada.